Move In Ready! **Actual Photos** New Community in World Golf Village! 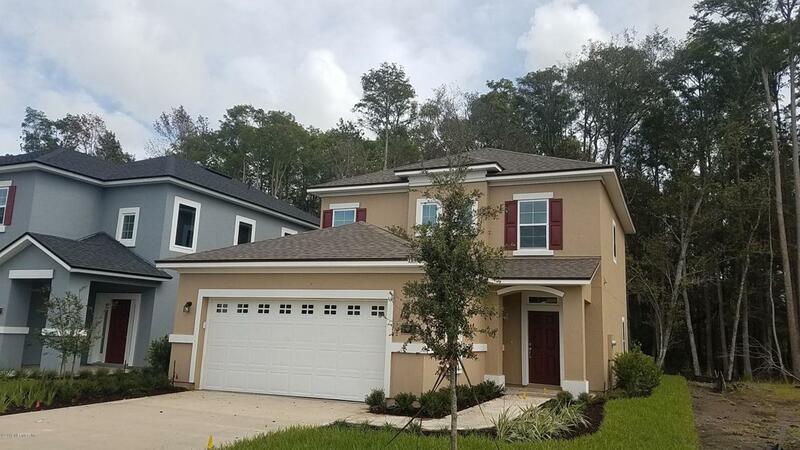 This beautiful Two story, San Juan Floor Plan home on a preserve home site includes 3 Bedrooms, 2 1/2 baths, and a 2 car garage. 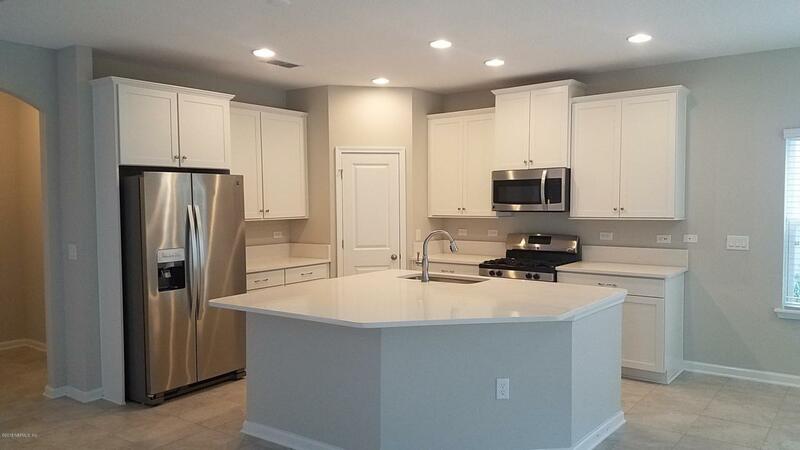 Open kitchen with white cabinets, quartz counter tops, full appliances including refrigerator and washer/dryer. 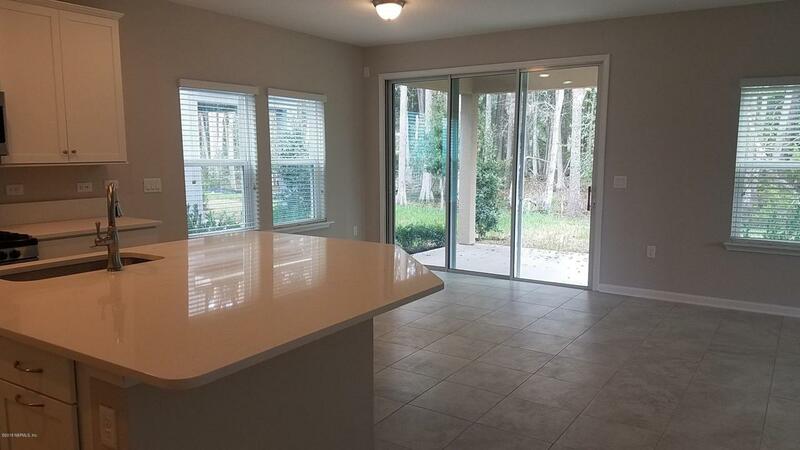 Home comes with blinds, fully landscaped. Zip System on the exterior that comes with a 30 year limited warranty and finally 30 Year Limited Warranty Architectural Shingles all backed with the Dream Finders Homes 1/10 Builder Warranty. Our homesites includes Full Sod & Irrigation plus Professionally Landscaped Exterior. Price includes a 4' black aluminum fenced backyard. 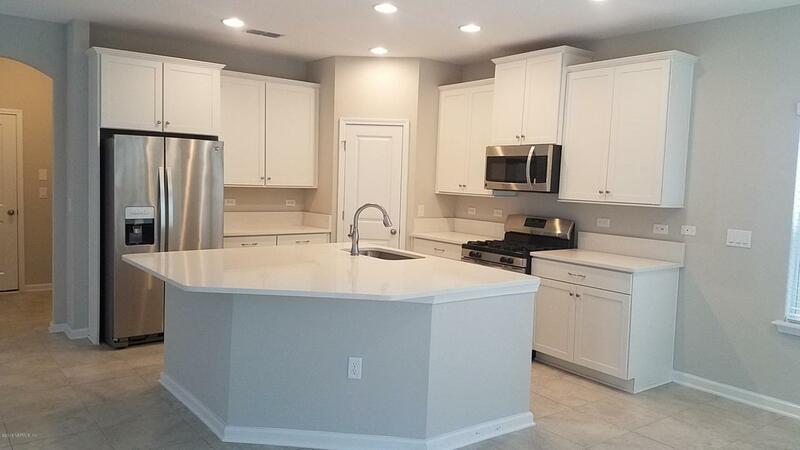 **Builder pays Allowable Closing Costs with use of our Preferred Lender! !World Golf Village Amenities-Access to King and Bear offering tennis courts, pools, fitness center, and much more! Availability to become a member of the King & Bear and Slammer & Squire Golf community-different level of memberships available.